للمسافرين الذين يرغبون أن يعيشو كل ما تقدمه جزيرة بورا بورا, Hotel Maitai Polynesia Bora Bora هو الخيار الأمثل. يمكن من هنا للضيوف الاستمتاع بسهولة الوصول إلى كل ما تقدمه هذه المدينة النابضة بالحياة. يضفي محيط الفندق اللطيف وقربه من Matira Beach, شغب موتو باهي المرجانية سحراً خاصاً على هذا الفندق. يقدم Hotel Maitai Polynesia Bora Bora خدمات لا غبار عليها وكل أشكال اللياقة وحسن الضيافة اللازمة لإسعاد ضيوفه. تتضمن الميزات الرئيسية في هذا الفندق: مرافق مخصصة لذوي الاحتياجات الخاصة, تسجيل وصول/خروج سريع, تخزين الأمتعة, صف السيارات, التوصيل من وإلى المطار. بالإضافة لهذا,تتضمن كل غرف الضيوف مجموعة واسعة من وسائل الراحة . بعض الغرف توفر حتى غرف لغير المدخنين, مكيف هواء, مكتب, ميني بار, شرفة/ تراس لإرضاء أكثر الضيوف تطلباً. يقدم الفندق العديد من الفرص للاستجمام كمثل السهام المريشة, الغوص السطحي, شاطئ خاص, حديقة, رياضات مائية (غير آلية). 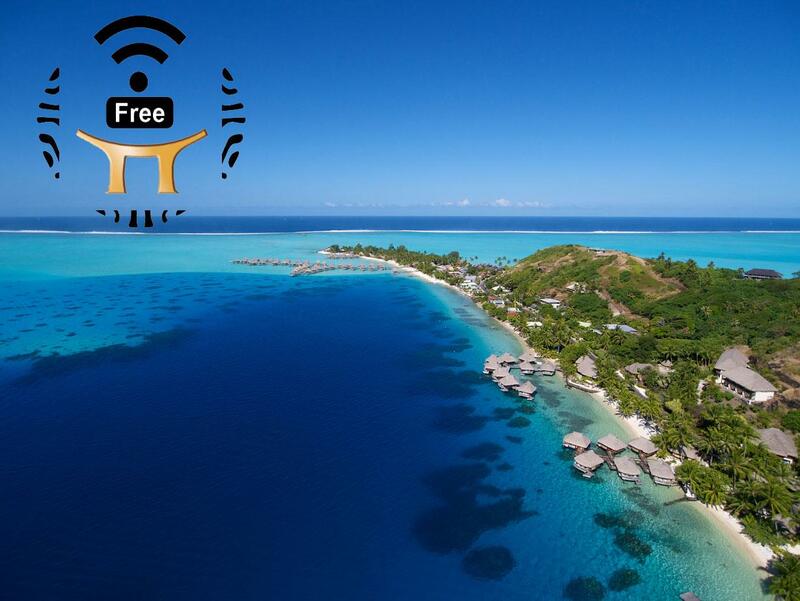 إن Hotel Maitai Polynesia Bora Bora هو خيارك لخدمة الفنادق الراقية في جزيرة بورا بورا. تُفرض ضريبة محلية بقيمة 200 فرنك فرنسي مباشرةً في العقار. We stayed here in an ocean view room for 3 nights. The room was great however had little bugs, so don't leave any food out, bugs will swarm it. Staff was great. This hotel is on the windy side of bora bora. Hotel has a nice beach but no pool. A little grocery store is a half block away for wine & snacks for the room. Great combo tour with water in AM & land tour in afternoon. We checked out of room & used showers in lobby which were bug infested & hot. Could not enjoy shower or get ready for long ride home. Would stay here again, but get ready in room before check out and not have a beach day. Restaurant is on beach and good food. Good restaurants in area as well. Upon arrival at Vaitape jetty, we were picked up by a shuttle bus (pre-arranged paid service by the hotel). We were pleasantly surprised by the upgrade to an ocean view room at check in. Room, bed, bathroom are all lovely. There’s free kayaks for hotel guests usage. Beach is not patrolled but all good. Restaurant by the beach. 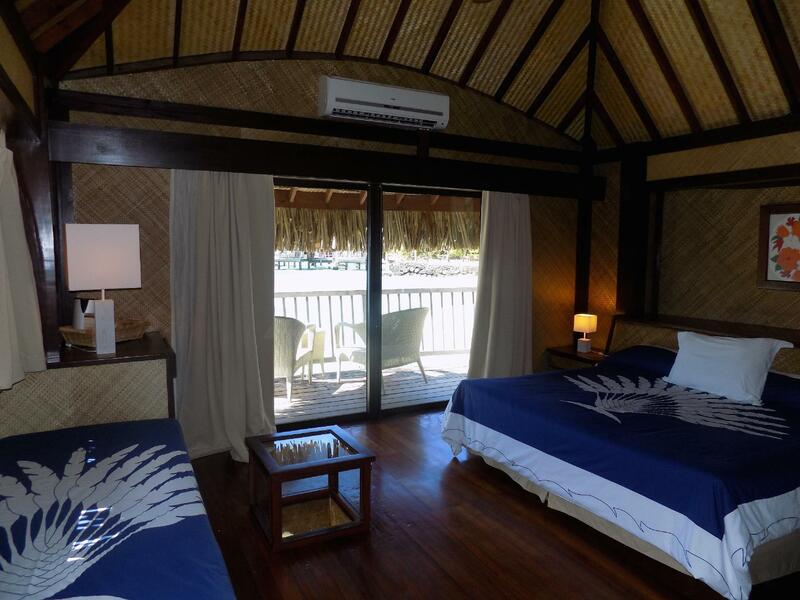 You can also choose to stay st their overwater bungalows. Rates are reasonable compared to the overrated hotels which cost 5x more per night. 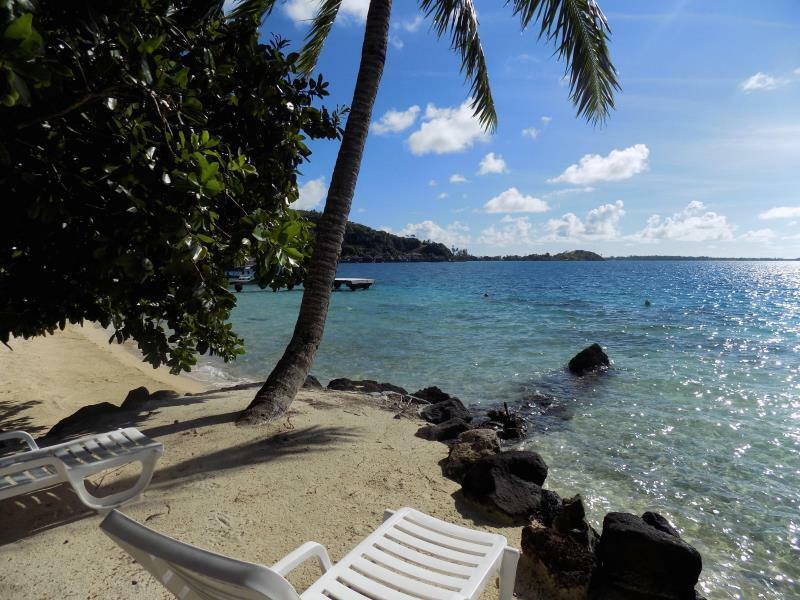 We would recommend the Rohivai full day tour - you get to swim with sharks, rays, fish and enjoy a wonderful lunch experience over the water. Matira Beach is about 10 minutes walk away. You can watch a memorable sunset here. Rain comes and goes quite quick but only on the 4th and last day of our stay did it rain heavily. We would stay here again in future. Excellent hotel with a wonderful view on the laguna. Rooms are well equiped. Staff friendly and helpful. The only complaint we had about the hotel is that all balcony doors automatically lock behind you when you close them, and the key card does not help. The first thing we did when we got to our overwater bungalow was to go out onto the balcony to admire the view and lock ourselves out. My husband had to swim through the water in his clothes in order to get to the front desk and ask for them to open up our bungalow. There are signs requesting that the balcony doors be closed, but none warning that they lock automatically when closed. They had the same type of balcony doors on the ocean view room that we moved to the next night. Loved our stay in the overwater bungalow, staff and locals friendly and room clean. Only small problem was the smell from the toilet into the bedroom area. We solved this by hanging the flowers we were presented with in the toilet, they cancelled out any odour. Walking distance to good priced restaurants and beach. Beautiful tropical fish can be seen while snorkelling around the bungalows. Would definitely stay again . Our garden room overlooked a beautiful, diverse and we'll maintained garden and pond. A sitting room off the main lobby was tastefully decorated and very inviting. The beach was small but very pretty. Good food at the beach side restaurant. Friendly staff. Breakfast was a bit expensive with a set price of $30 per person. We highly recommend this hotel especially if you want a bungalow experience without spending so much more money on the other fancy resorts. That staff was wonderful, pleasant and helpful. The property was clean. The rooms were nice and comfortable. 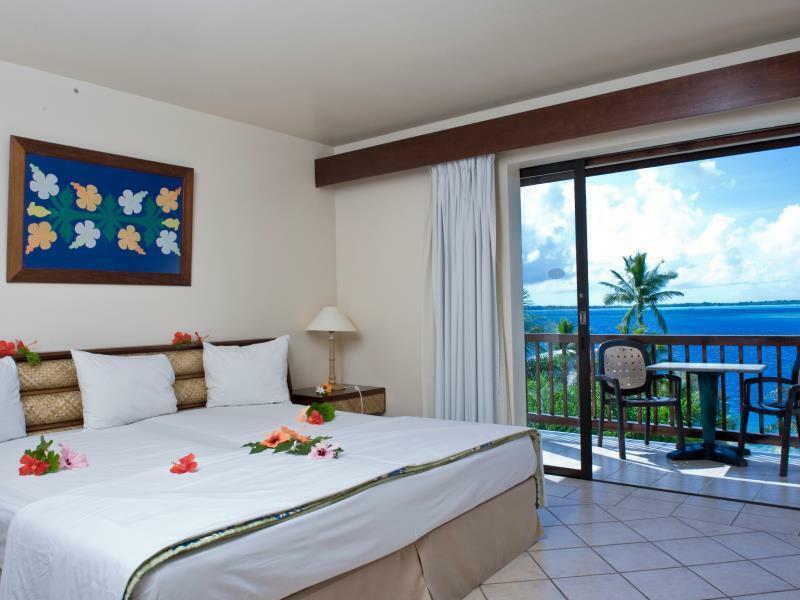 The property is walking distance to the public beach which is beautiful with amazing sunsets. Also too you can walk to grocery stores, and restaurants. The restaurant on site served great food but could use a little more help from the serving staff. When booking hotel, please not that there is a charge for transportation from boat to hotel, which is fine, but it was not noted when booking hotel on Agoda. Great experience overall. Spent one night in garden view and 4 nights in the overwater bungalow which is highly reccomended. Very relaxing peaceful. Grocery store is 2 min walk away. Very nice large white sandy beach located just down the street from intercontinental. Sofitel was nice to go for some drinks and Polynesian show. Staff was very helpful and friendly great value! Very good hotel. Not in front of Matina beach (only public beach in Bora Bora) but 10 min. walk, so very good located. Room was very clean and big. I stayed in an ocean view room with an amazing view of the sea and terrace. Buffet breakfast was very good (not included in my price) with yoghurt, cereal, ham, cheese, delicious croissants and chocolate bread, fruits, etc. Staff was nice and helpful. Restaurant was very good and with good prices (for French Polynesia). Walking distance you have a couple mini markets and some restaurants. 30 min. bike from Vaitape (city center). Very good value for money - considering you are on an island far from anywhere. Staff were very pleasant and welcoming. 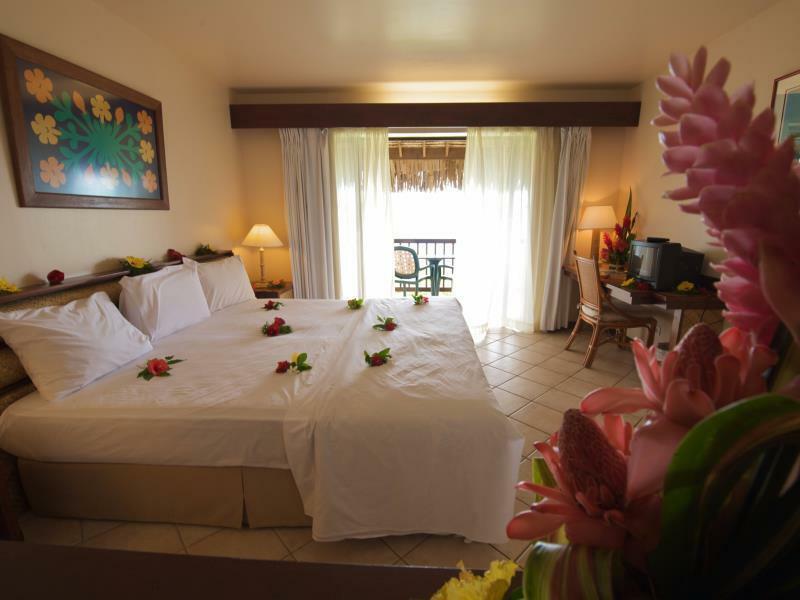 Beach location (was essential) and along with the gardens, were kept in pristine condition. The resorts bio-dome initiative to encourage coral rejuvenation - which encouraged many tropical fish to say hello to. Having explored the island, would say that the Matai should be a 4, not 3 star hotel. Would certainly return to. Biggest complaint - no wifi in the room, even when there's a router in the room! The hotel has its own private beach and free access to kayaks that we used to view the sunset from the lagoon. The room floors always remain slick for some reason. The staff provided all the information for activities that we could do during our stay. Both the hotel restaurants are outright bad! Walk a little in either direction to find better restaurants both big and small. It was a pleasant stay overall and my new husband and I really loved the view and service. Unfortunately the pillows were one size too large and uncomfortable. The bed was a "King" which was two uncomfortable twins pushed together. Not ideal for newlyweds that want to snuggle. All in all, a good bang for your buck! There is a beautifulittle view from the small beach. Some cottages are over the water. Nice rooms. The staff was not helpful and not sympathetic, even unfriendly. There was a mud hole in front of my room. They charge a full transfer after making you take the public boat most of the way. If you want to go elegant, you can visit the Sofitel nearby. If you want to go cheap, you can buy food at small shop very close by. Our stay was great! Everyone was extremely friendly and helpful. We stayed in overwater bungalows and it was totally worth it. I was worried our lack of proficiency in speaking French would be an issue but speaking English worked fine. It is a few minutes walk to Matira beach and there is also a couple nearby markets and small pizza place. The food is pricey everywhere you go so having a baguette, some cheese and prosciutto and beer in the room was helpful. I would definitely stay here again. Pleasant stay in sea-facing room on the hill side. Standard facilities were provided in the room. Staff diligently provided the requested assistance. Food in both restaurants was good without being exceptional. Polynesian dances were organized on Saturday evening. Accommodation price was reasonable for this category of hotel in Bora Bora. The price is good. And the location is in main island. Just the shuttle bus is quite expensive only. Great location to the beach, just everything seemed to cost more then what it’s worth.